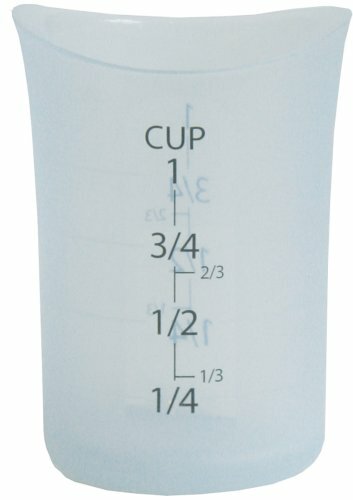 Size: 1 cup This iSi Flex-it Measuring Cup has the flexiblility that gives you totalcontrol. The body is firmly flexible and has an outside which is textured fora secure grip and the inside is smooth for easy pouring. Pours liquidsprecisely with no spills! The measurement level indicators are clear and easyto read. The transluscent body is textured for a secure grip with two clearmeasurement windows.